What a story, what a tribute. Lisa Wilkinson has paid tribute to her co-worker and friend Rebecka Delforce, who died last week. 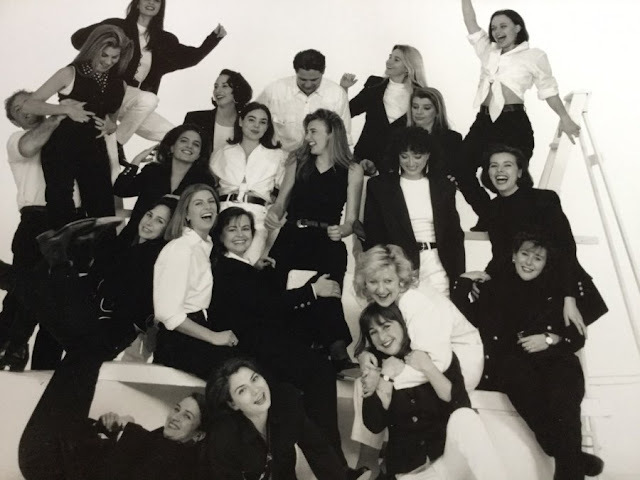 Lisa hired Rebecka at Cleo magazine in the 1990s. It's a must read. READ THE WHOLE STORY HERE. Rebecka's partner Darren Stratti died nine years ago, in tragic circumstances. Rebecka and Darren's story was told on 'Australian Story' several years ago. It''s a MUST watch. What a love story, what a life story, what an inspirational couple. Rebecka Delforce and Darren Stratti were primary school sweethearts. Life took them on different paths but when they met again as adults, they knew that they were meant to be together. Darren Stratti talked about 'falling in love twice' - once with Rebecka and again with her dream to build a children's village in Africa. In 2007, after four years of planning and fundraising, the couple moved to Tanzania to start putting up the buildings. But within a year, tragedy struck in an event that became headline news back home in Australia. Darren was a school mate - we went to the same school, and all I recall is a towering presence of a man.